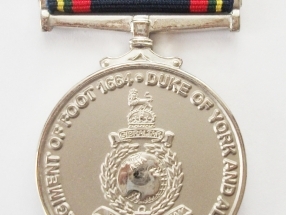 Full Size Medal with Globe and Laurel in the centre and the name of the medal around it. Ribbon is in corps colours. 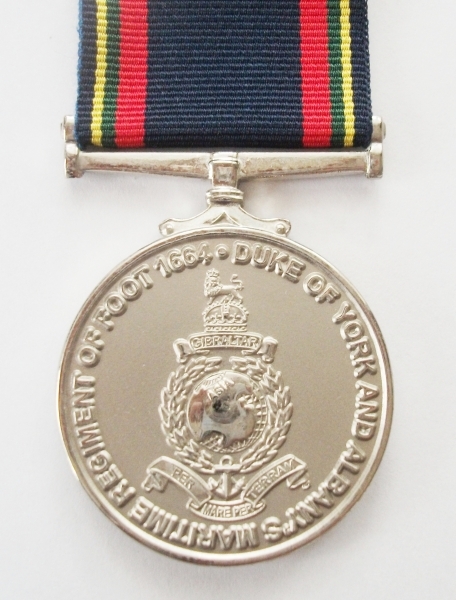 The Duke and York and Albany's Maritime Regiment of Foot 1664 is a stunning medal. It can be purchased by serving or former Royal Marines and their families. It would make a great gift.